The Jaguar Flotel is a renowned biologist’s dream come true. 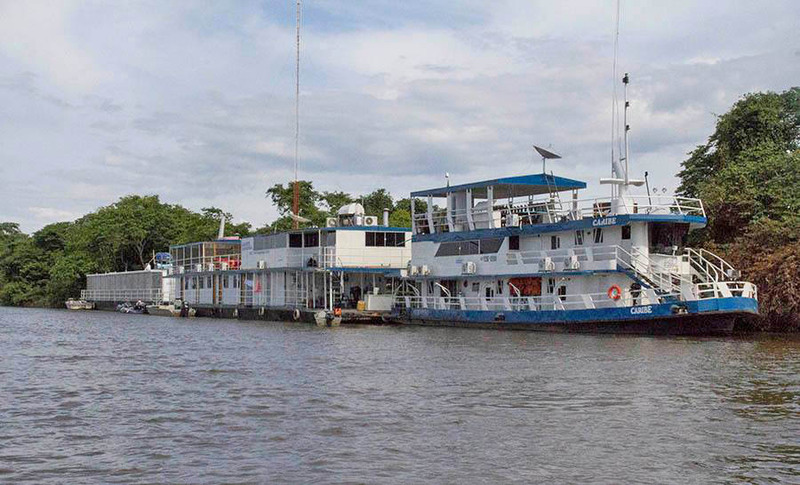 The decks afford an expansive view of the Piquiri River and the forest. 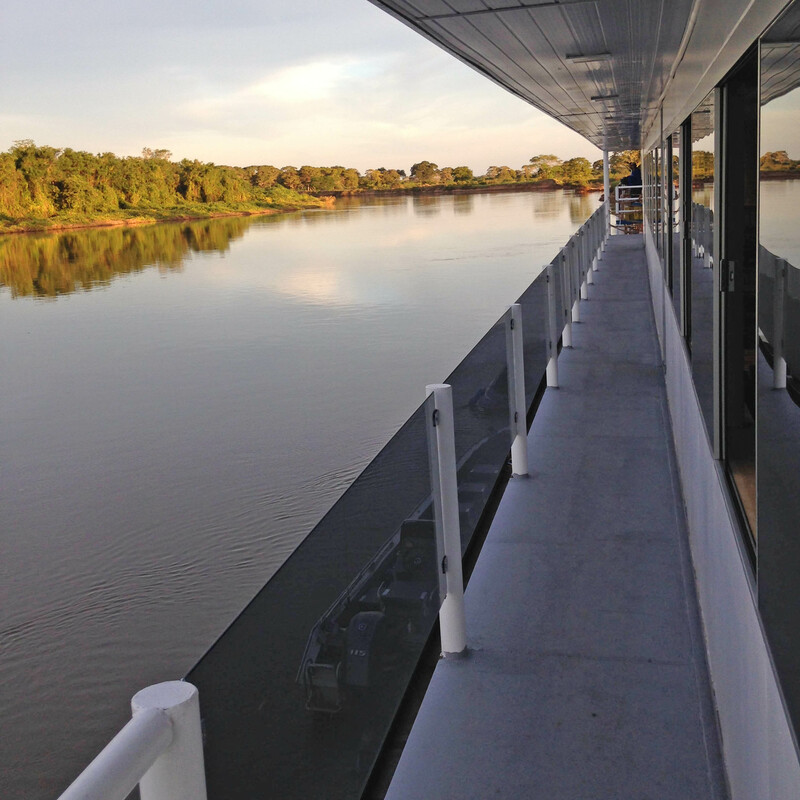 Upper deck on Jaguar Flotel I, Pantanal, Brazil. Photography: SouthWild. Jaguars of Brazil’s Pantanal. The dining room is spacious, enclosed and air-conditioned. 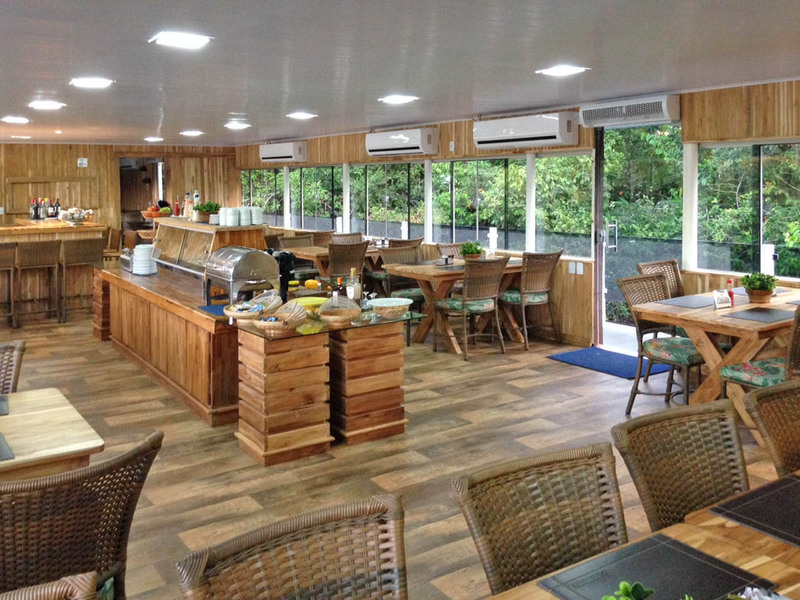 Dining room on Jaguar Flotel I, Pantanal, Brazil. The bar is a refreshing oasis after the boat outings. 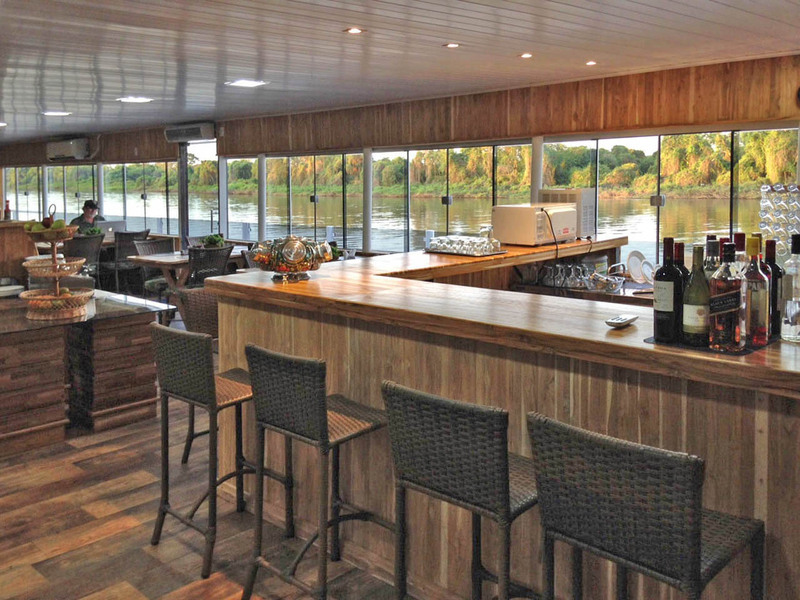 Bar on Jaguar Flotel I, Pantanal, Brazil. Nightly scientific talks take place in the lecture hall and lounge. 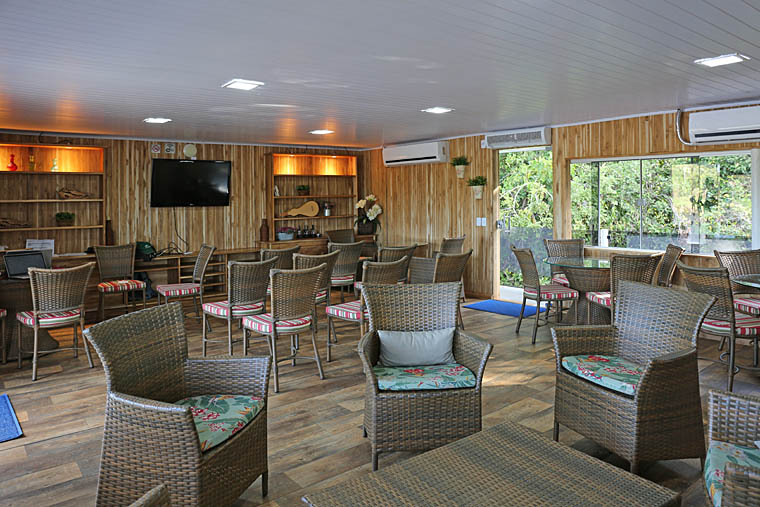 Lecture hall and lounge on Jaguar Flotel I, Pantanal, Brazil. © Inka’s Empire Corporation 2015. Jaguars of Brazil’s Pantanal. All rights reserved.